Did you know that currently all aluminum foils and color tubes are not being recycled and are sent to landfills? Recycling aluminum uses roughly 5% of the energy required to create virgin aluminum from bauxite. Ninety- five percent of all aluminum can be recycled over and over again, including the foils and color tubes that are used in salons across North America. Yet foils used for color are simply being thrown in the trash. Did you know hair when placed in garbage bags will mummify, continue to fill our landfill, and give off methane gas? Did you know that all excess chemicals including color, perm solutions and ammonia get rinsed down the sink into our water stream? 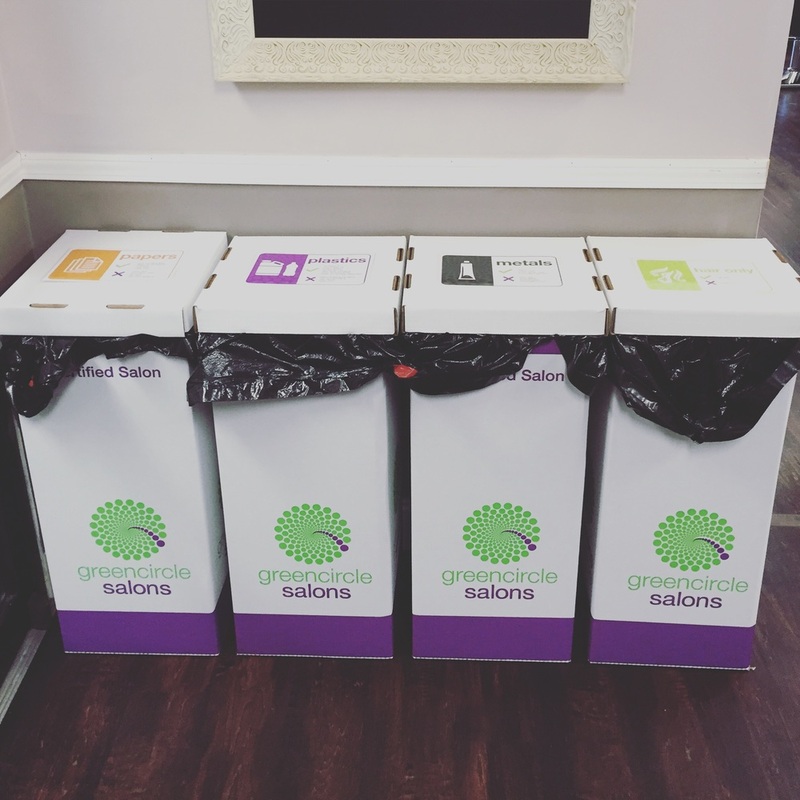 Our new Green circle recycling bins! Hair, paper, metal, plastics, & leftover chemical are all taken! We have swapped fluorescent lighting in favor of energy efficient LED lighting. 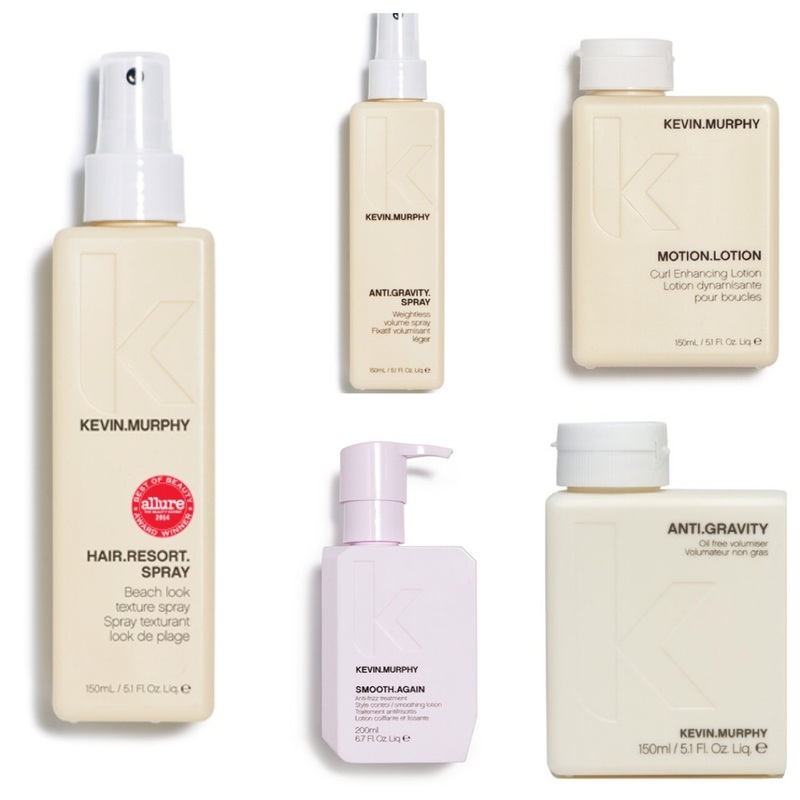 Our retail bags are made from recyclable paper and choose to use retail products from KEVIN.MURPHY that have an environmental policy which we, and our customers like. 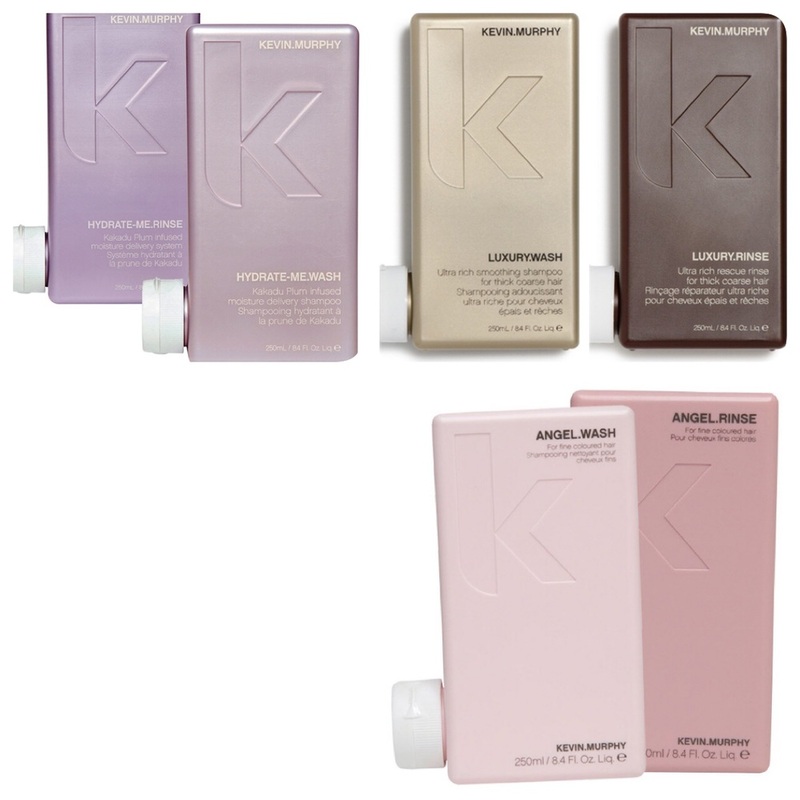 We also offer refills on select KEVIN.MURPHY products if you bring in your empty bottle in order to be as eco-friendly as possible. Hydrate me, angel, and luxury wages and rinses are all available for refill! In order to make this Recycling effort possible, we needed to do a slight price increase of just one dollar. We want our clients to know exactly what they are paying for. So instead of increasing services prices, we chose to show this increase as a separate charge. An ECO FEE of $1 is added to every receipt at checkout. Doing this shows our clients how they are individually making a difference and an impact on the environment, which we care so much about! Thank you so much for supporting our movement for positive green change!